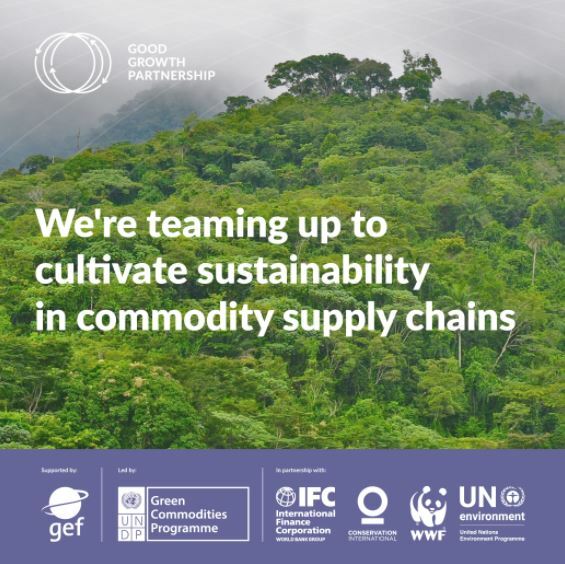 UNEP FI is joining forces with the world’s largest conservation, development and finance organizations to catalyze the sustainable transformation of global commodity supply chains around the world. The production of soy, beef and palm oil now represents a significant driver of tropical deforestation. Developing forward-thinking business models to manage sustainable commodity production that also maintains forests and important ecosystem services is the aim of a partnership that launched in New York last week. UNEP FI will work with its members to help them adapt to these new models of agriculture production. Funded by the Global Environment Facility (GEF), the Good Growth Partnership, a unique collaboration between UNDP, the World Bank and IFC, WWF and Conservation International, and UNEP and UNEP FI will work with the governments of Brazil, Indonesia, Liberia and Paraguay, as well as the private sector and civil society organisations to enable lasting, transformative change throughout three key global commodity supply chains: soy, beef and palm oil. The Partnership will support governments to fortify their assistance to large and small producers as they adopt more sustainable production models. It will also support the finance sector in identifying new opportunities for investment and will provide additional assistance to the industry to better evaluate and incorporate the financial risks resulting from unsustainable commodity production models into their decision support tools. UNEP FI will play a pivotal role towards the achievements of the Good Growth Partnership’s objectives by helping financial institutions ensure that these new models are part of their portfolios. The UNEP FI’s secretariat invites all financial institutions interested in embarking on this exciting journey towards sustainable and deforestation-free commodity production to contact the Ecosystems and Sustainable Land Use Thematic Unit team at UNEP FI for further information: Contact us here. Watch a video from the Good Growth Partnership Launch in September 2017 here. Find more information on the Good Growth Partnership website here, and read the Year One Highlights report which details the progress made to date here.